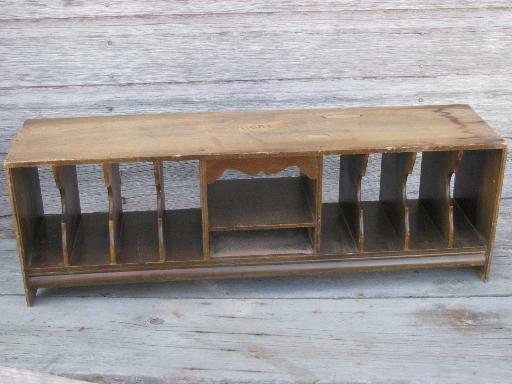 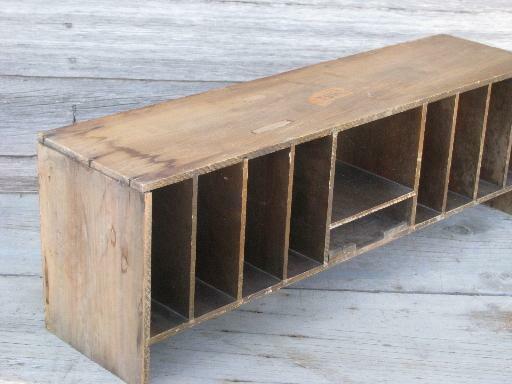 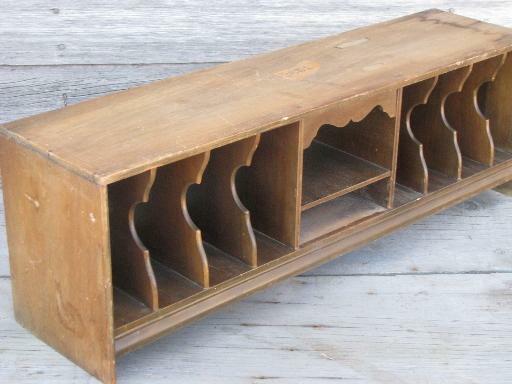 Vintage desk organizer (also nice for holding specialty papers or craft supplies), all wood. 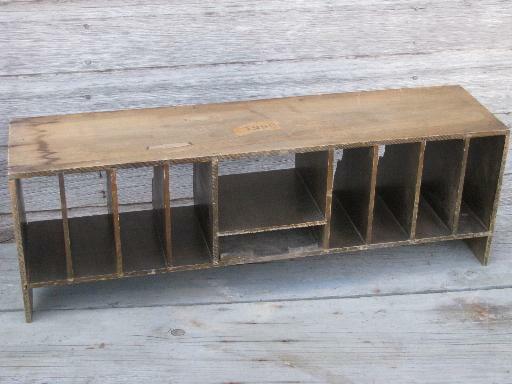 This came out of an old desk, and the piece is not varnished over the exterior of the box, or the inside of the center cubbyhole (which originally held a drawer, we think). 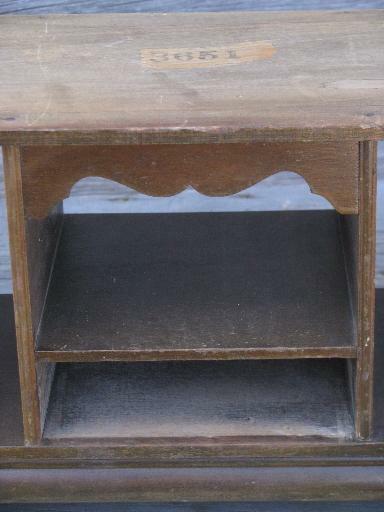 This would be a lovely piece to paint! 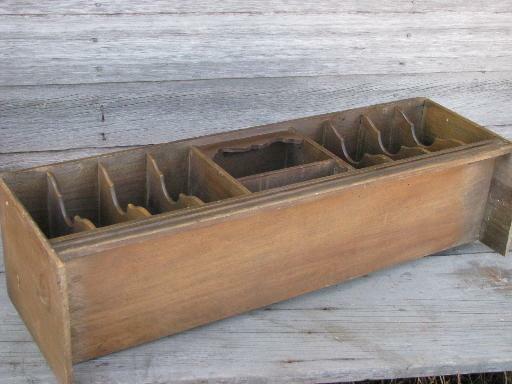 Measures 28 1/2" long, 7 1/4" deep, 9 1/2" tall overall, with paper slots a little over 6" tall.